For Lela White, a Houston sleep lab technician, sleep doesn't come easy-there's a price to be paid for a poor night's sleep, and she's the judge, jury, and executioner. Everyone around Lela considers her a private woman with a passion for her lab work. But nighttime reveals her for what she is: a woman on a critical secret mission. Lela lives in the grip of a mental disorder that compels her to break into astronauts' homes to ensure they can sleep well and believes that by doing so, she keeps the revitalized U.S. space program safe from fatal accidents. What began at the age of ten when her mother confessed to blowing up the space shuttle has evolved into Lela's life's work. She dreads the day when an astronaut doesn't pass her testing, but she's prepared to kill for the greater good. When Zory Korchagin, a Russian cosmonaut on loan to the U.S. shuttle program, finds himself drawn to Lela, he puts her carefully-constructed world at risk of an explosion as surely as he does his own upcoming launch. As Lela's universe unravels, no one is safe. 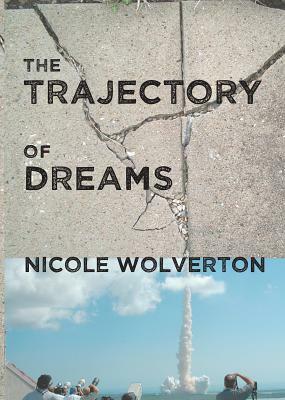 Nicole Wolverton is the author of the psychological thriller The Trajectory of Dreams (March 2013, Bitingduck Press). Her short fiction has appeared in Black Heart Magazine, The Molotov Cocktail, and Penduline, among others. She writes adult and young adult fiction. She lives in the Philadelphia area with her husband, two cats, and a dog. She is a freelance writer and editor, and she enjoys running and outrigger canoeing.